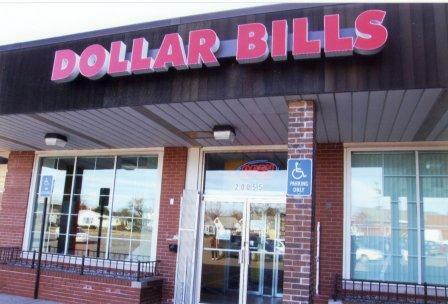 Dollar Bills (20055 Ann Arbor Trail in Dearborn Heights) recently opened in the former City National Bank building, at Ann Arbor Trail and Evergreen. They offer low priced food and sundries. I have to confess that I have mixed feeling about this. On one hand, it does mean one less vacant storefront. It also means a handful of new jobs in the area, which is always a good thing. However, there is also the fact that almost everything that they sell is made in China. It's nice that there is yet another dollar store nearby. (I mean, we only have six dollar stores in the Warrendale area besides this place.) I just can't help but feel that there is a better way. In many other neighborhoods in Detroit, we are starting to a trend towards stores that sell locally sourced food as well as locally produced goods. Unfortunately, this trend hasn't established much of a foothold in Warrendale as of yet. I hope this changes soon. In the meantime, I want to call attention to two locally owned businesses over in Midtown that sell a considerable amount of locally produced goods: Bureau of Urban Living and their next door neighbor City Bird (460 W. Canfield). I invite folks to stop by either place, just to see what retail can be like - although I should disclose that both places are owned by friends of mine. If that's not enough retail inspiration, there's also the fact that Detroit Synergy's monthly Third Thursday - Community Connect is this Thursday from 6:30 - 8:30 p.m. at Pewabic Pottery (10125 E. Jefferson Ave.). Besides the usual socializing that happens at each of these events, this one also provides a great chance to kick start one's holiday shopping with locally made crafts. Beer and wine will be served. In addition, 15% from all purchases made that evening will be donated to the Greening of Detroit.